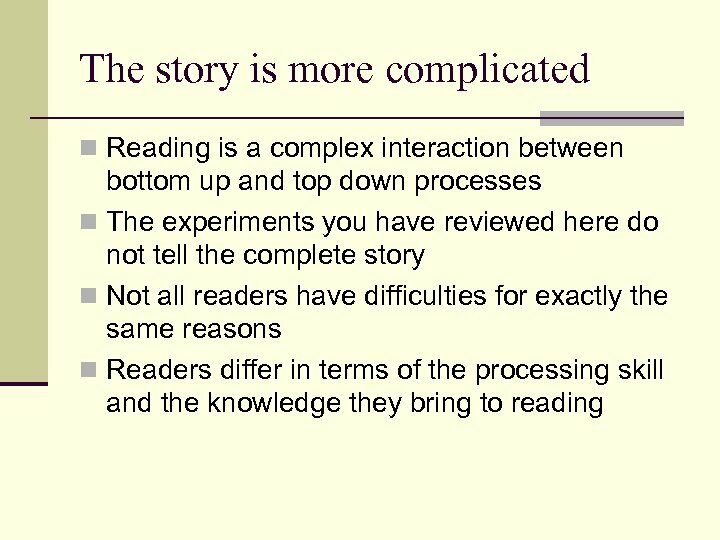 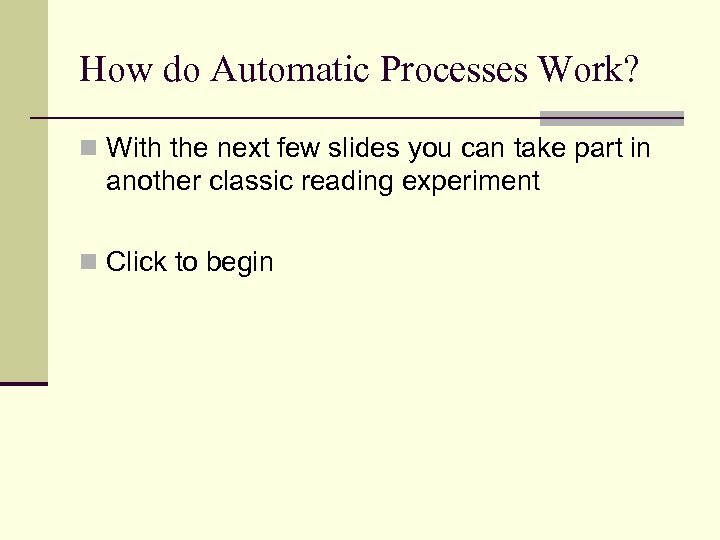 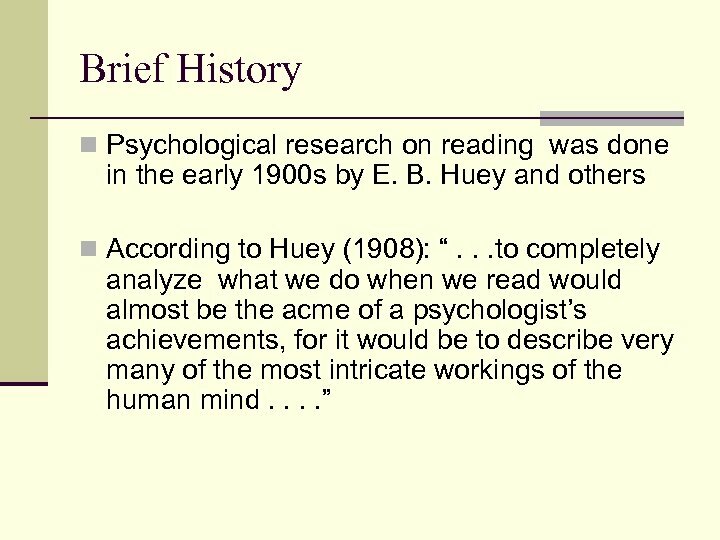 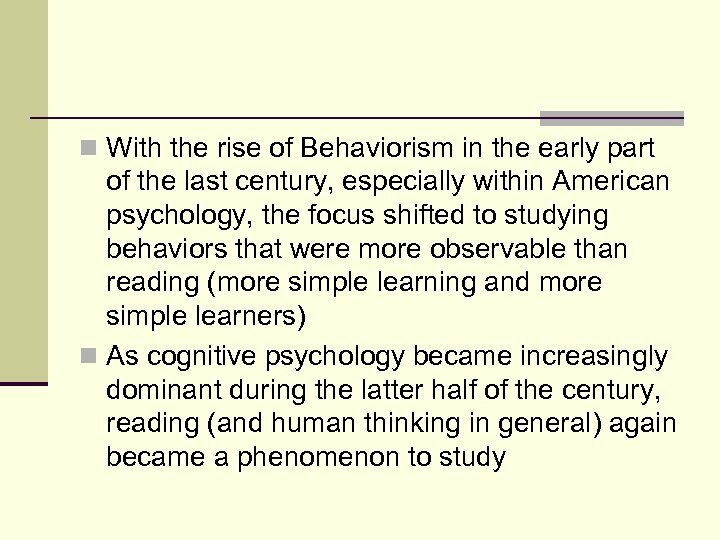 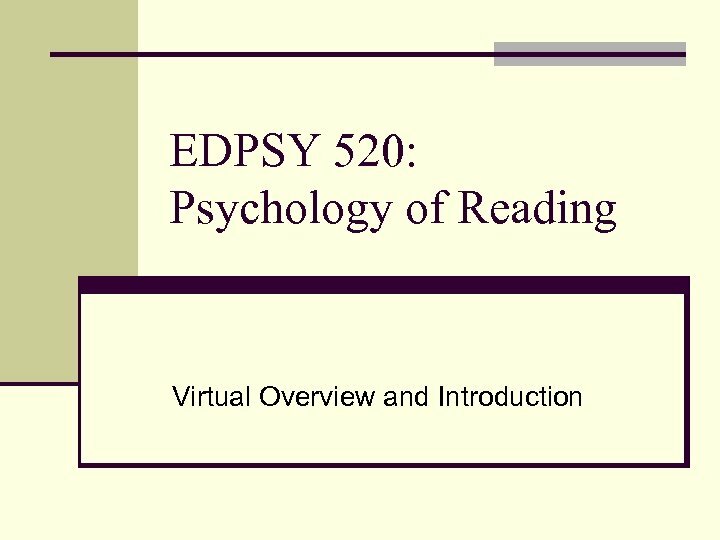 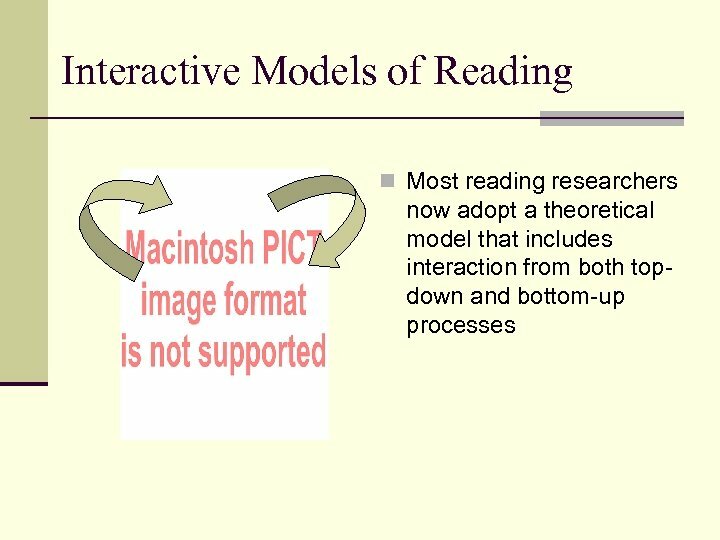 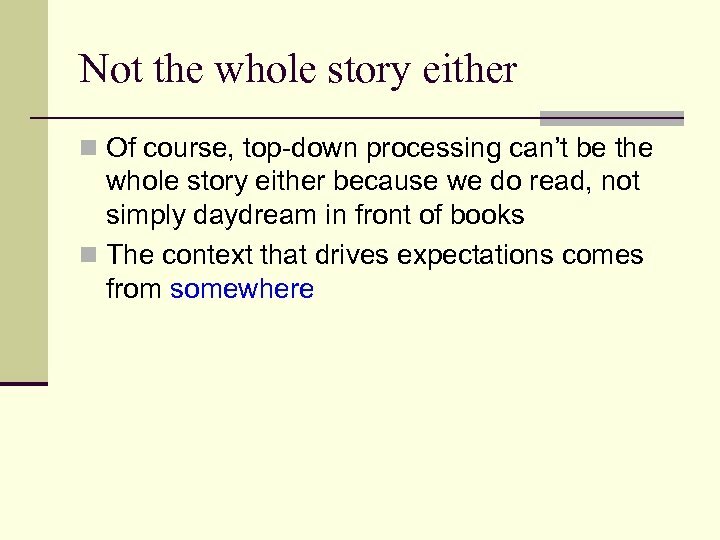 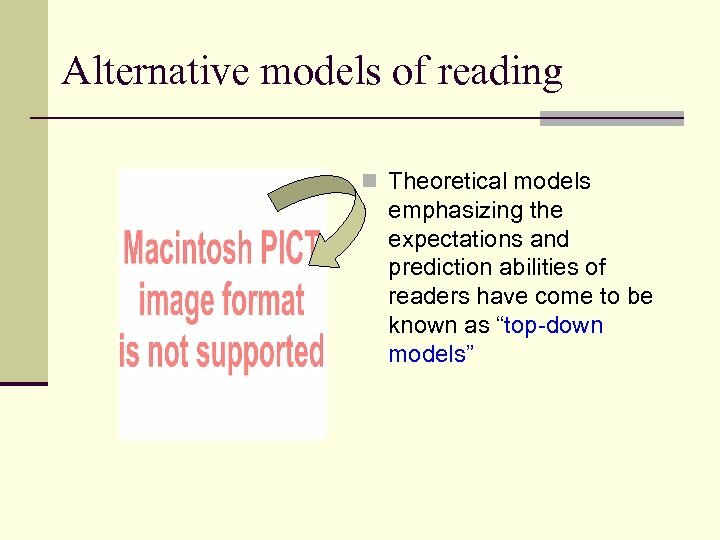 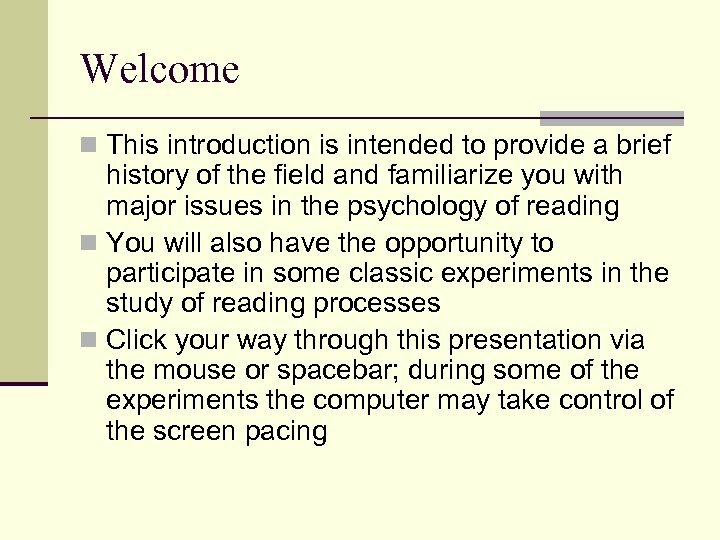 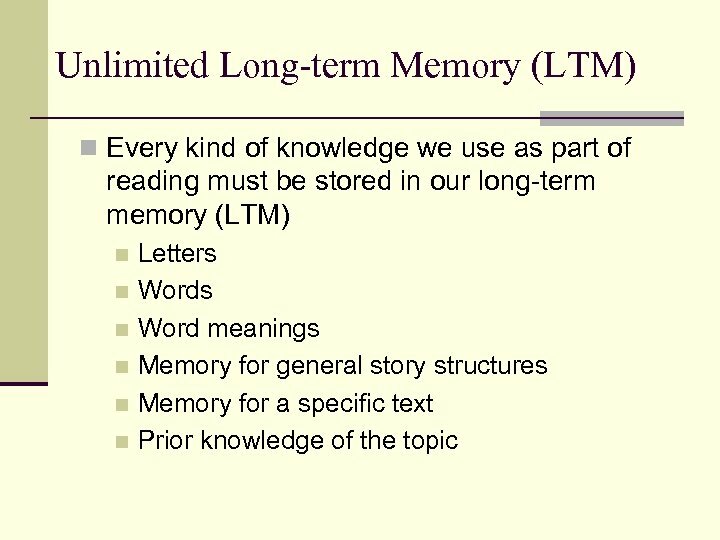 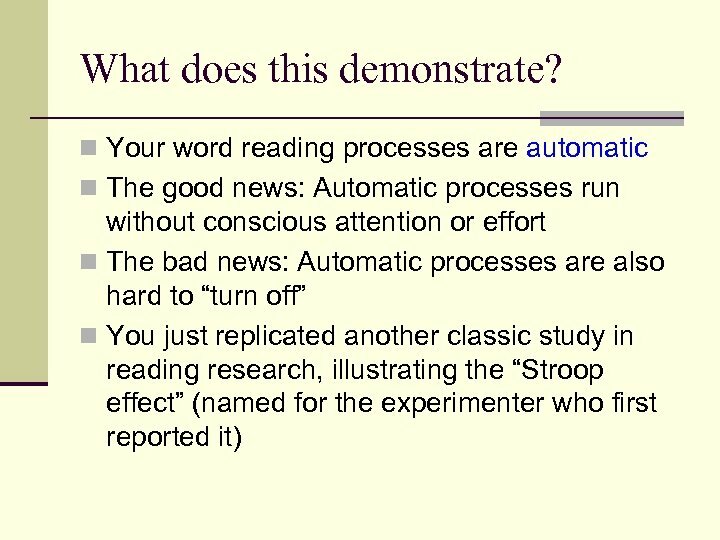 An Early Bottom-Up Model of Reading, La. 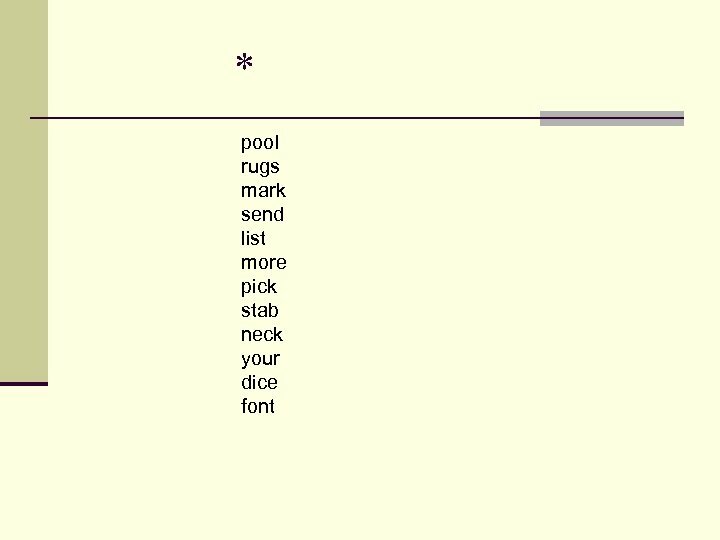 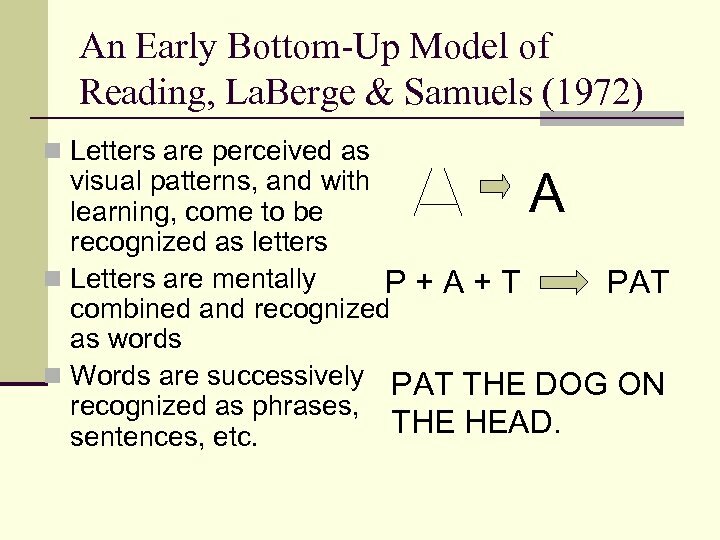 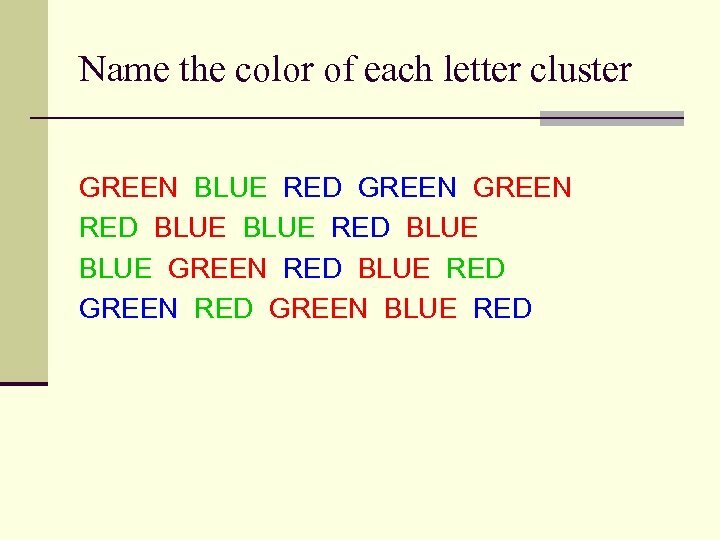 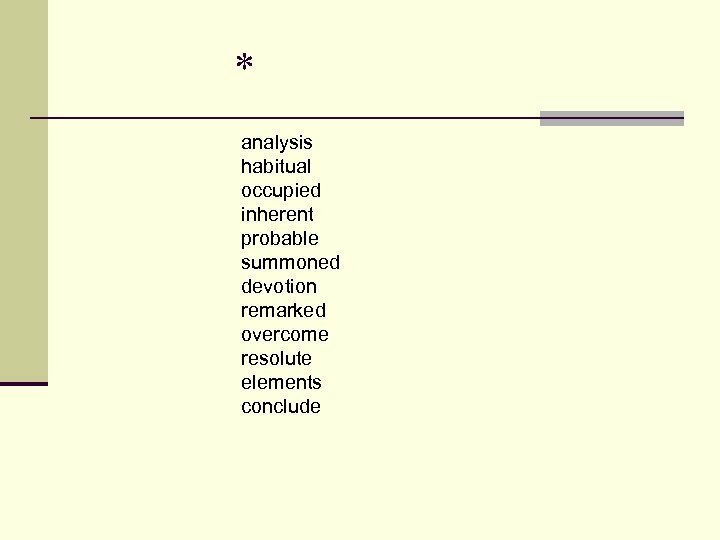 Berge & Samuels (1972) n Letters are perceived as A visual patterns, and with learning, come to be recognized as letters n Letters are mentally P+A+T PAT combined and recognized as words n Words are successively PAT THE DOG ON recognized as phrases, THE HEAD. 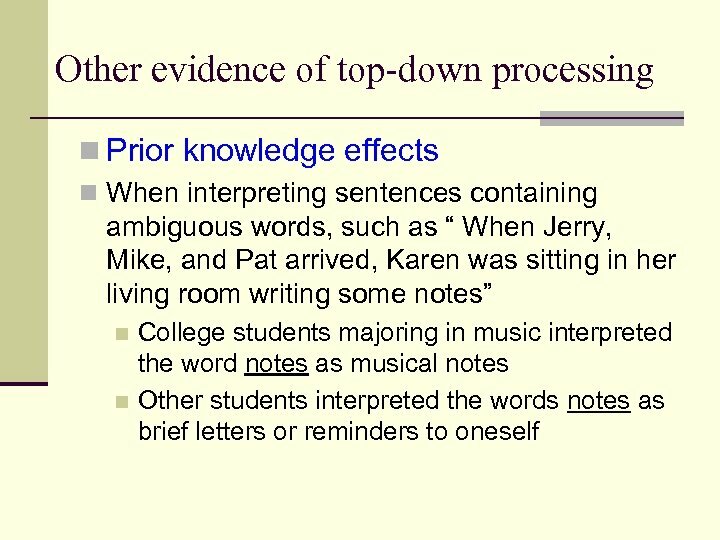 sentences, etc. 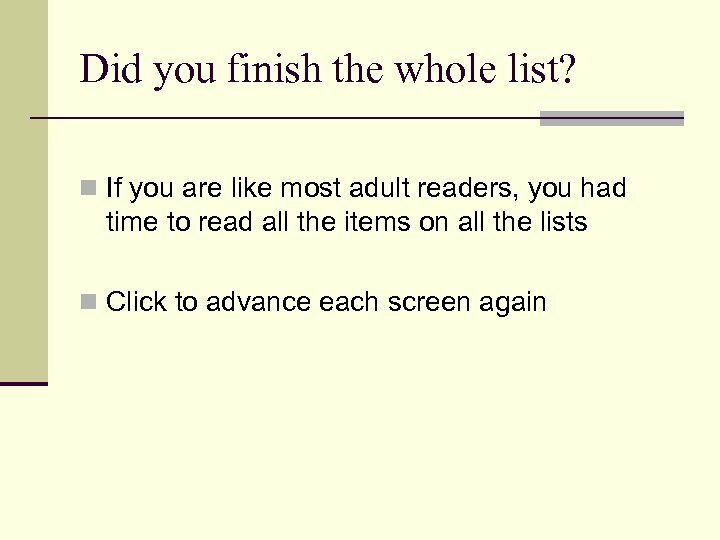 Did you finish the whole list? 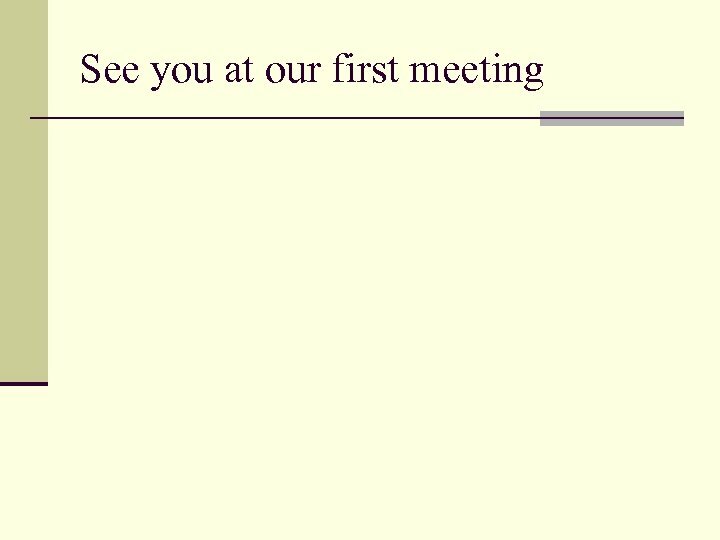 Did you have time left over? 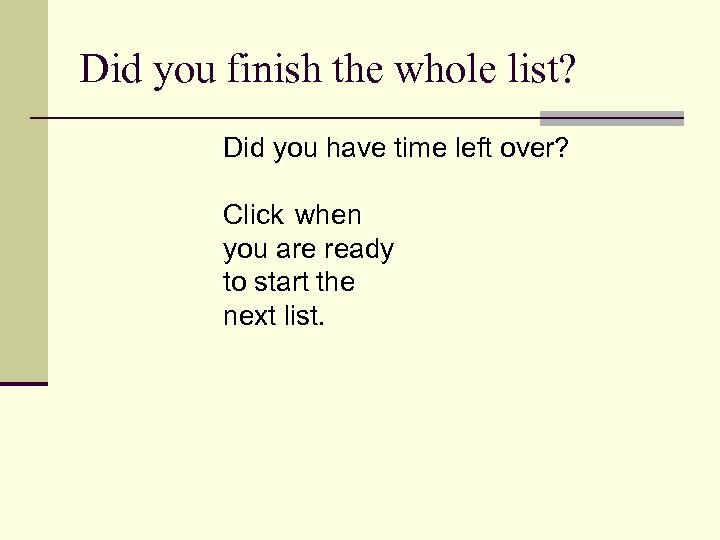 Click when you are ready to start the next list. 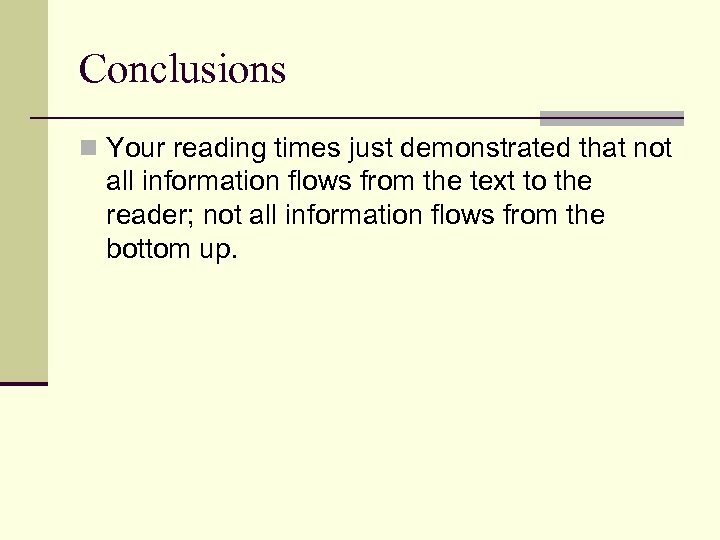 Conclusions n Your reading times just demonstrated that not all information flows from the text to the reader; not all information flows from the bottom up. 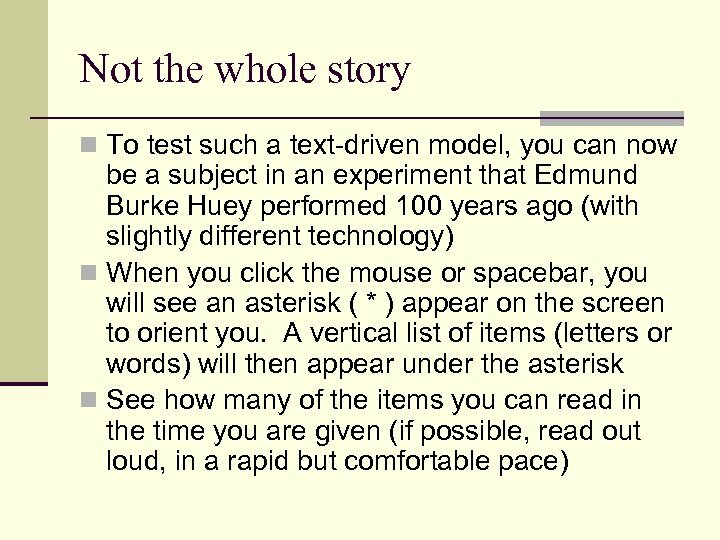 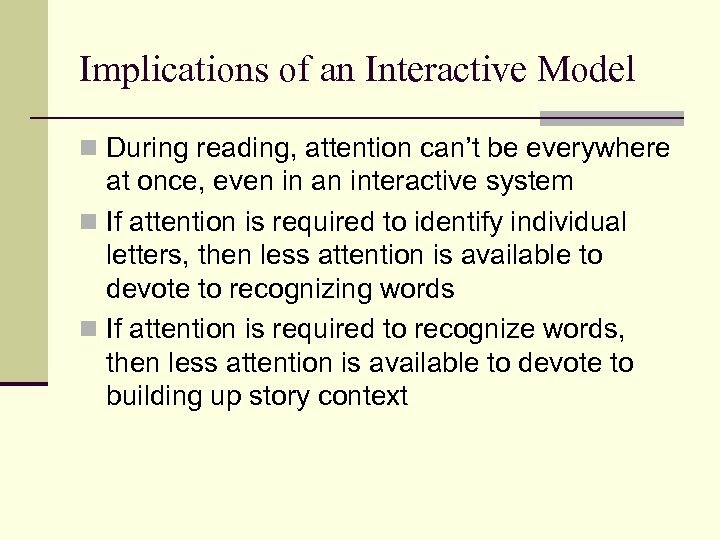 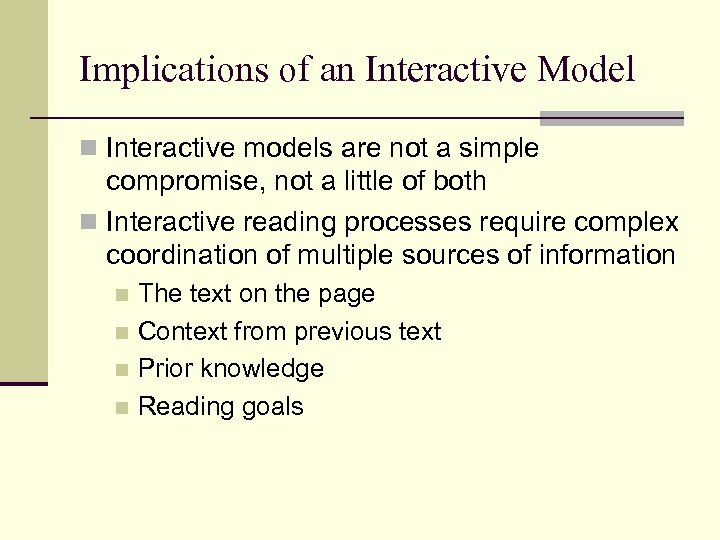 Implications of an Interactive Model n Where do we store all these sources of information? 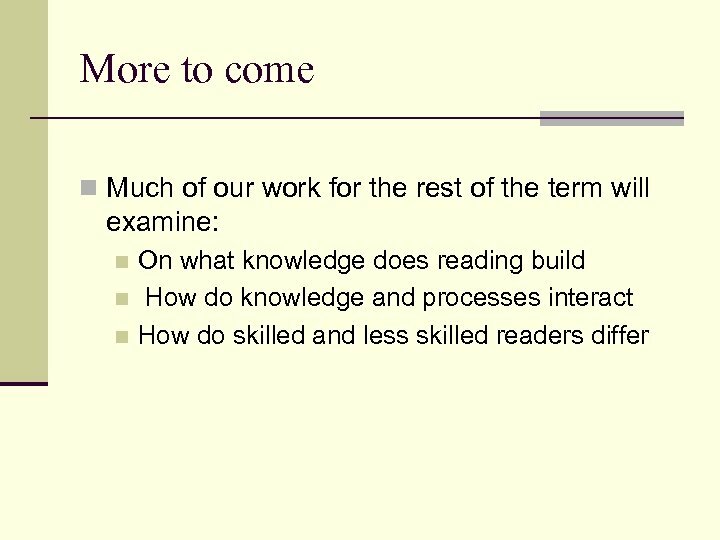 n How do we coordinate multiple information sources, accessing them seemingly simultaneously? 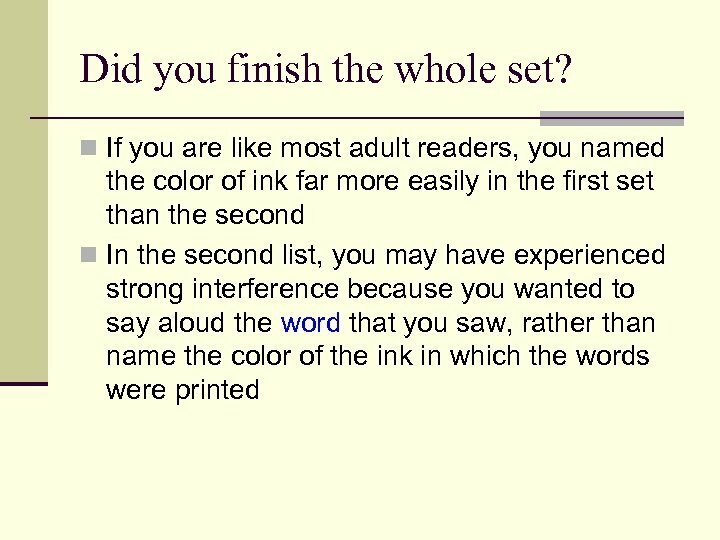 Did you finish the whole set? 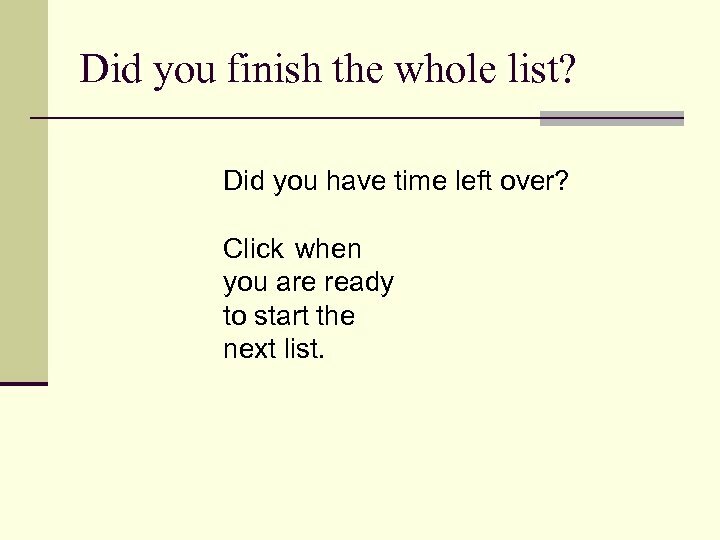 Did you have time left over? 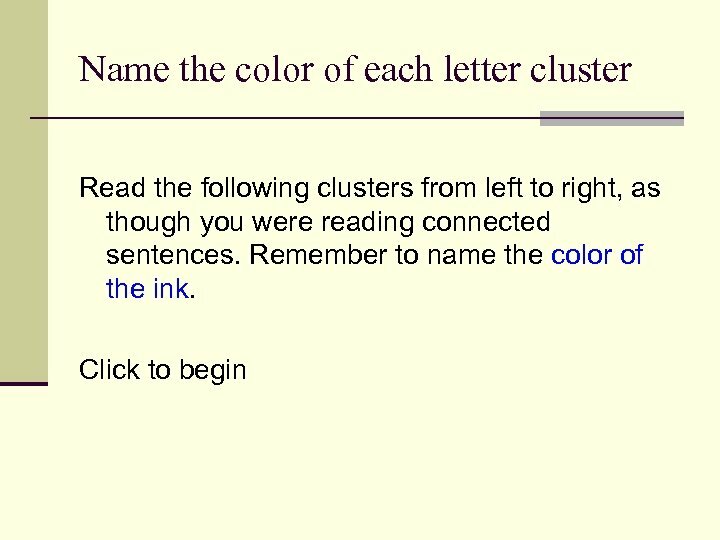 Click when you are ready to start the next set. 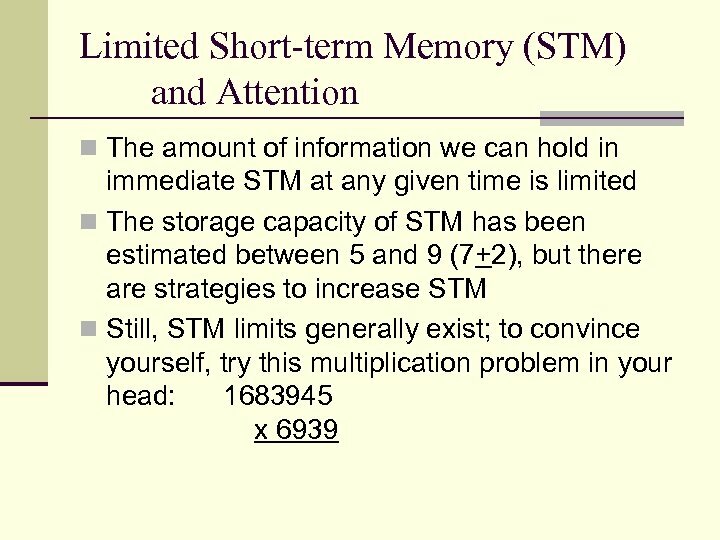 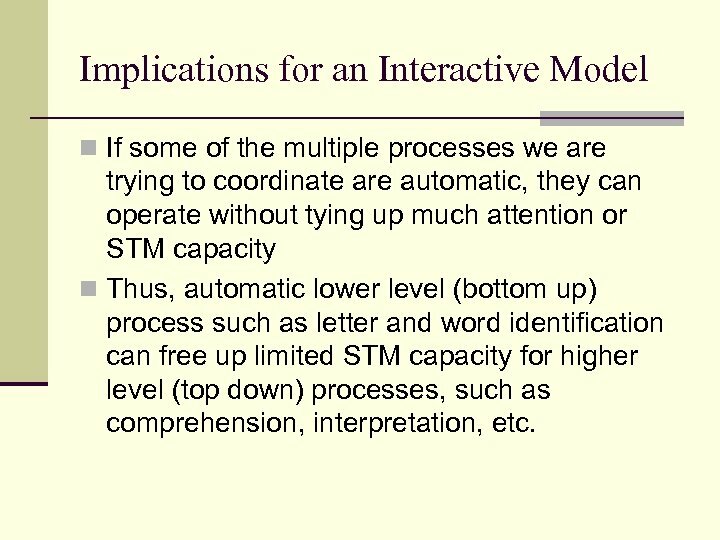 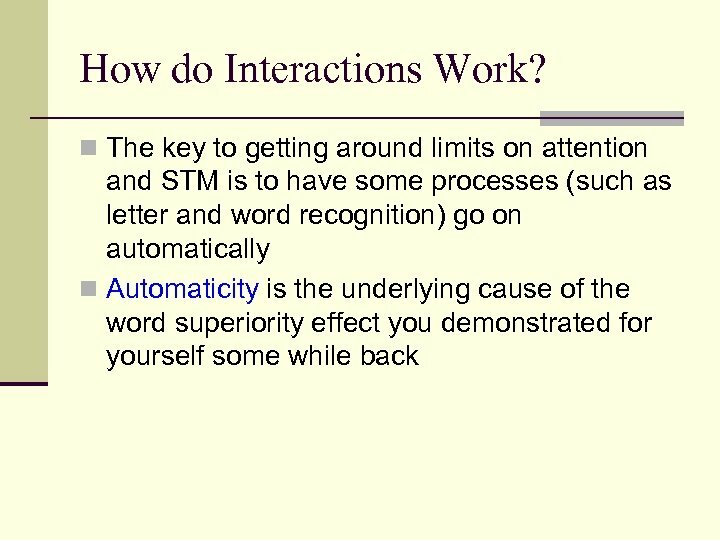 Implications for an Interactive Model n If some of the multiple processes we are trying to coordinate are automatic, they can operate without tying up much attention or STM capacity n Thus, automatic lower level (bottom up) process such as letter and word identification can free up limited STM capacity for higher level (top down) processes, such as comprehension, interpretation, etc. 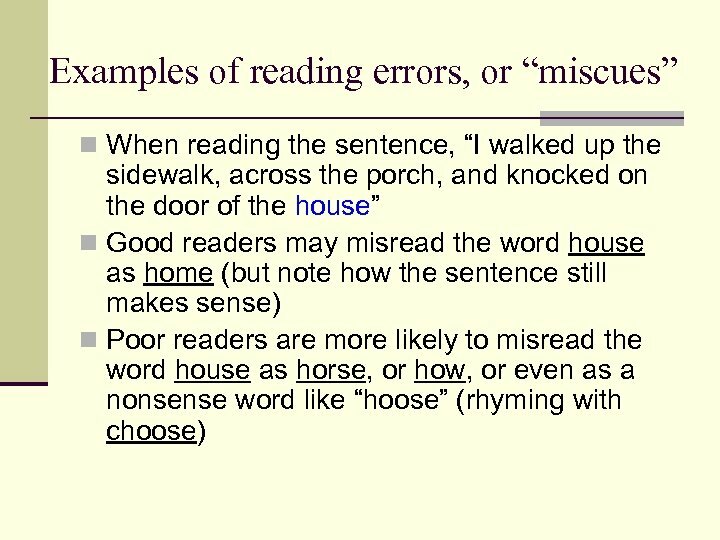 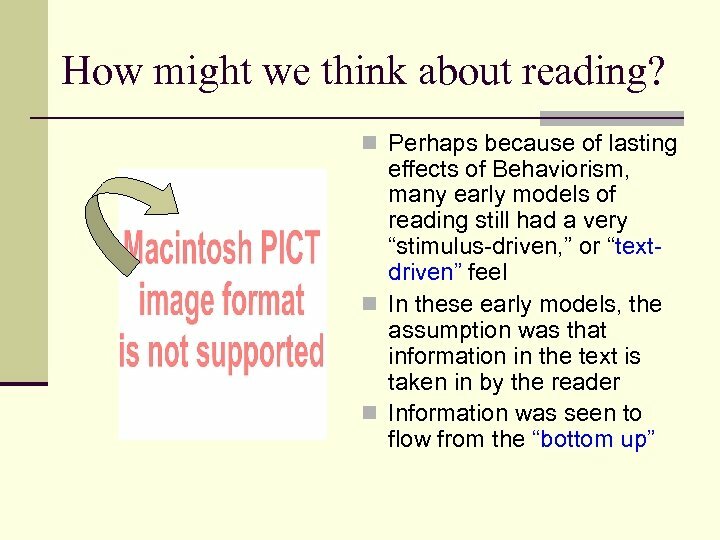 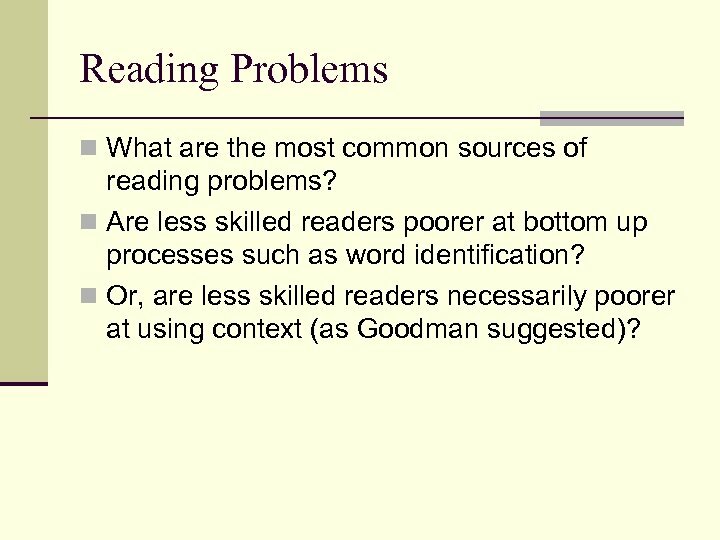 Reading Problems n What are the most common sources of reading problems? 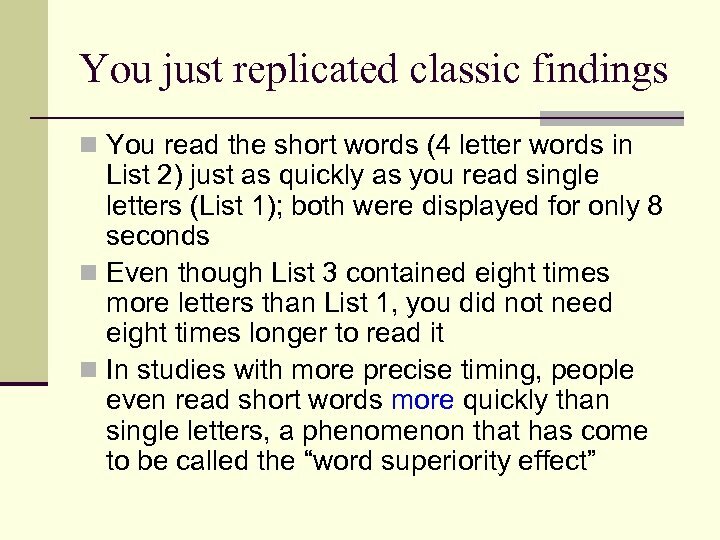 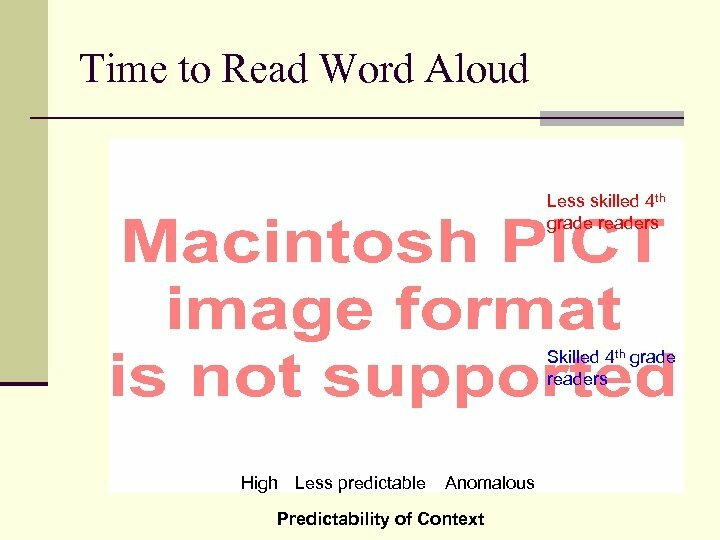 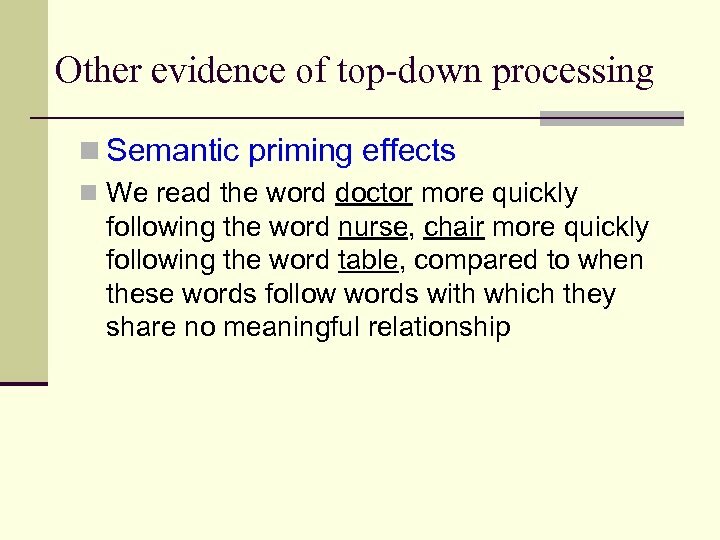 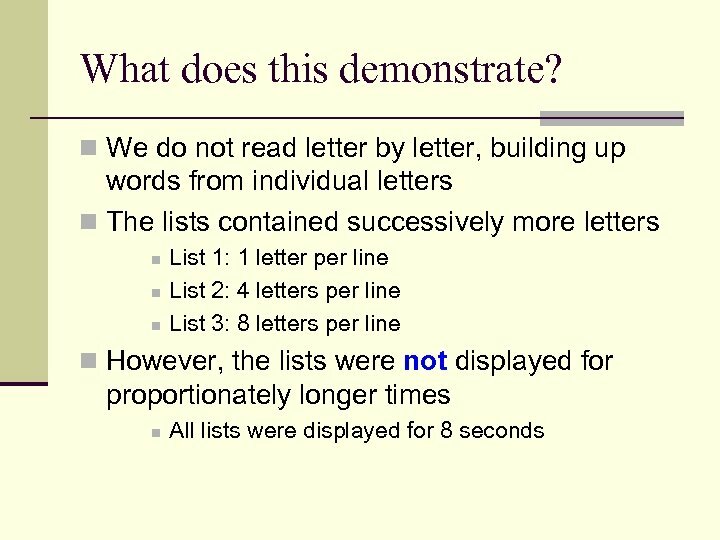 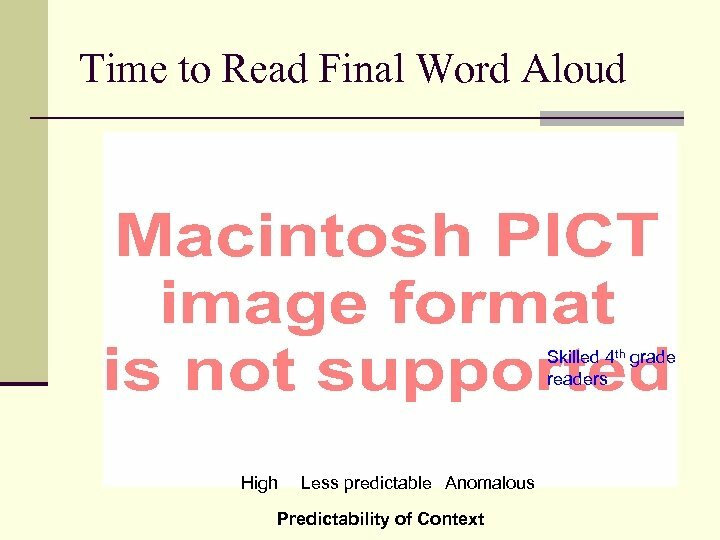 n Are less skilled readers poorer at bottom up processes such as word identification? 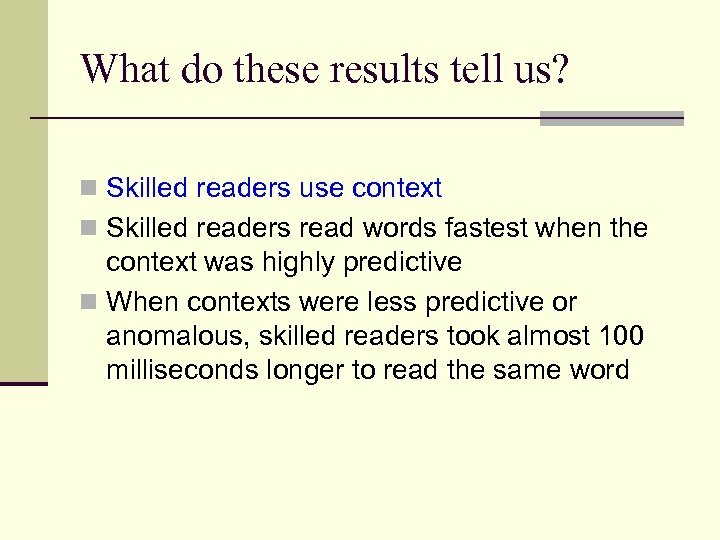 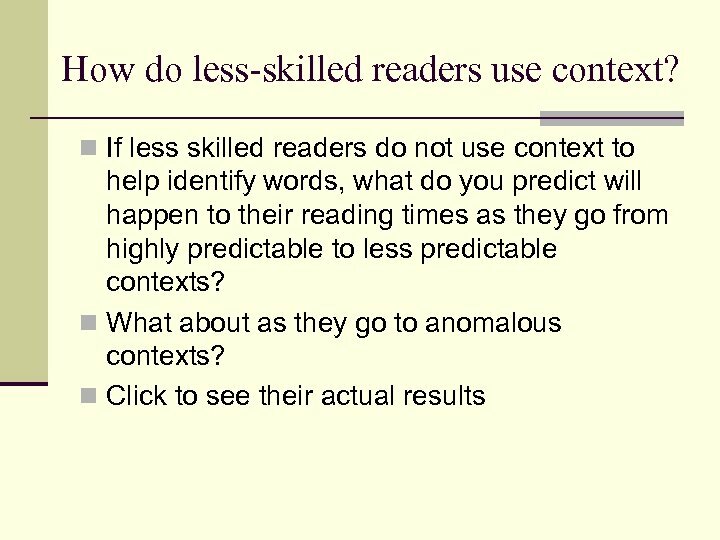 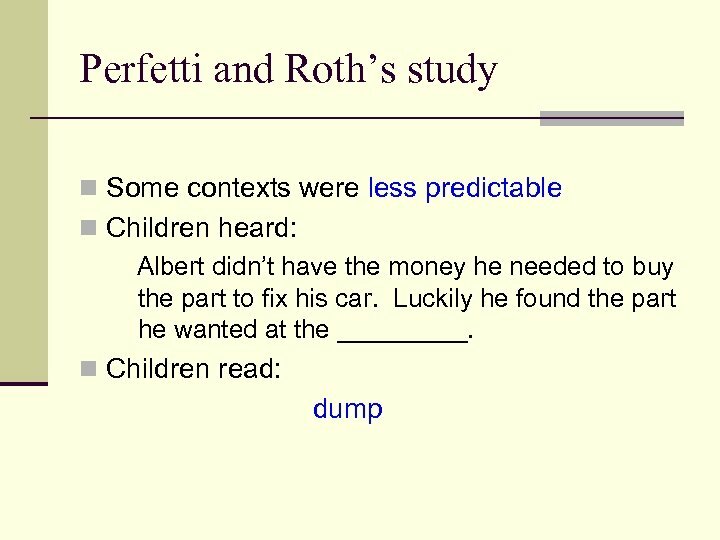 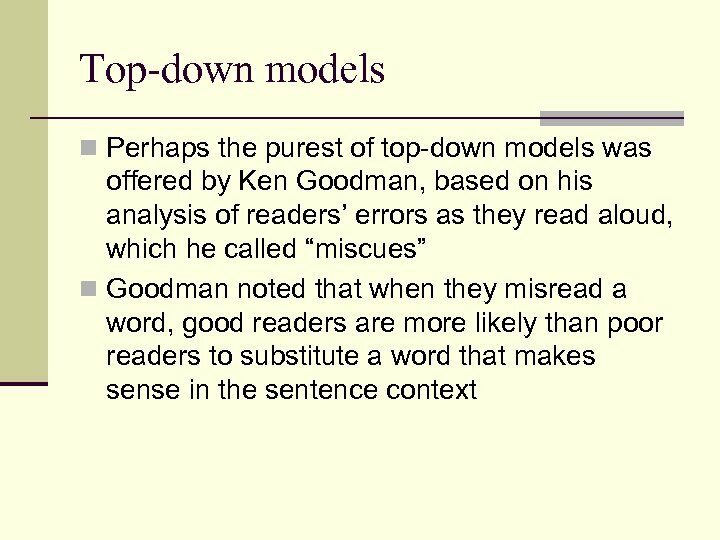 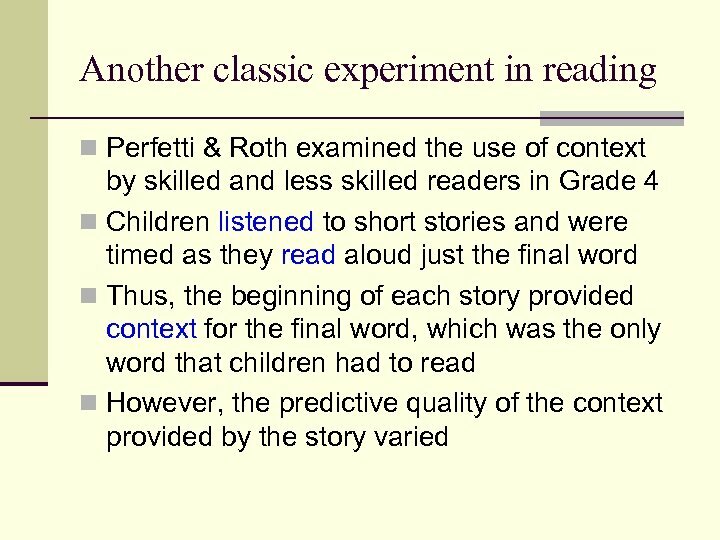 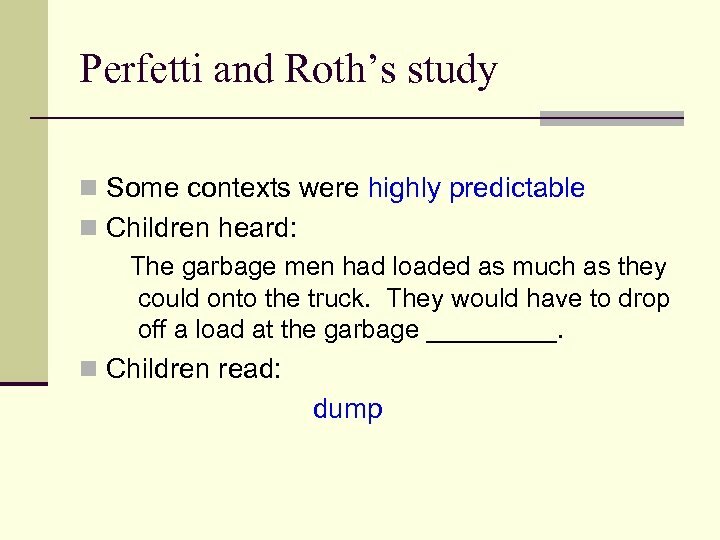 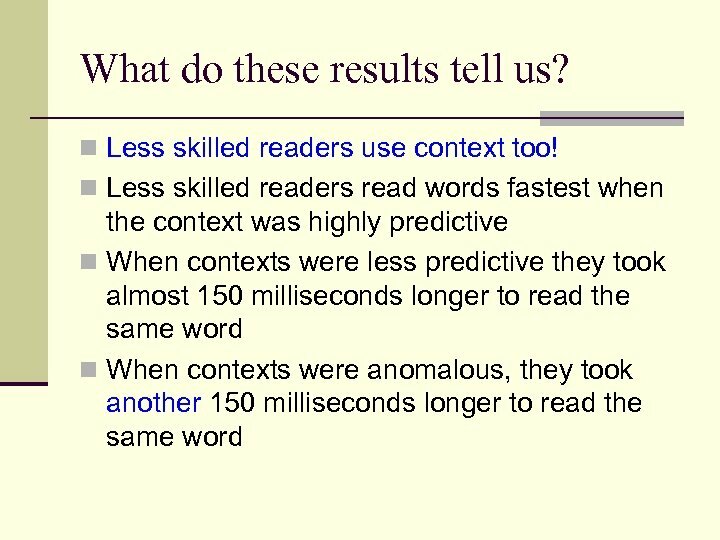 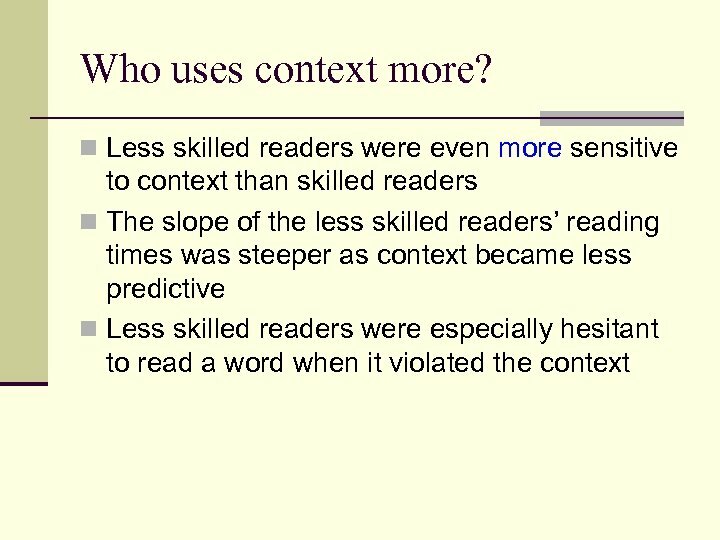 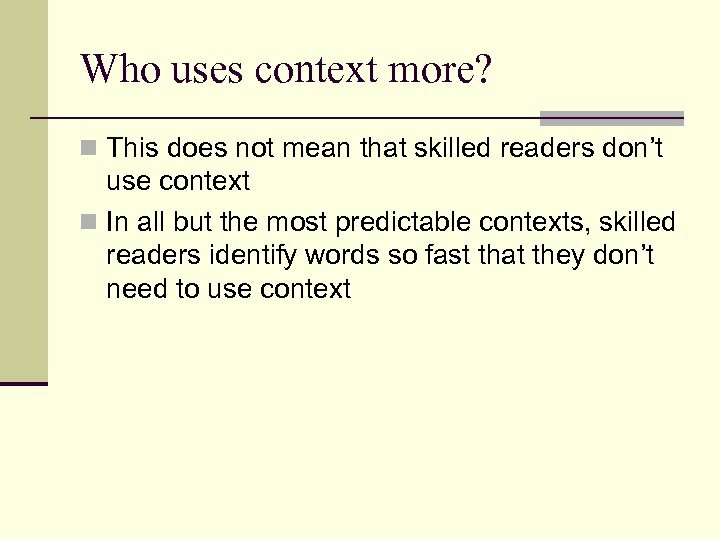 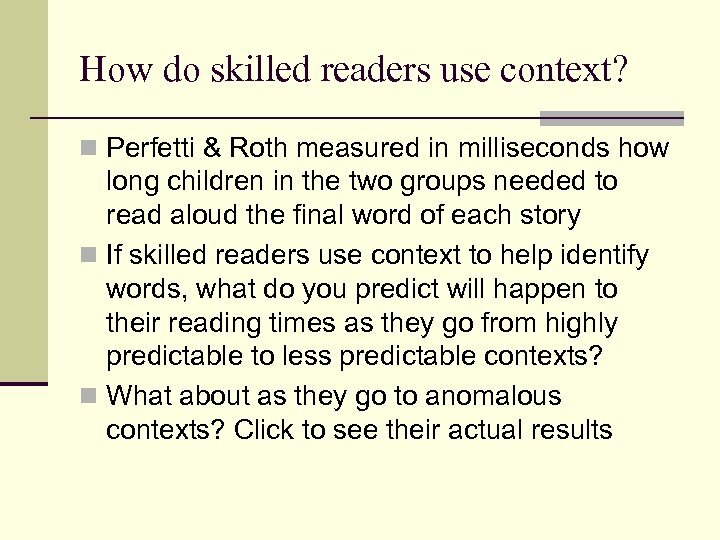 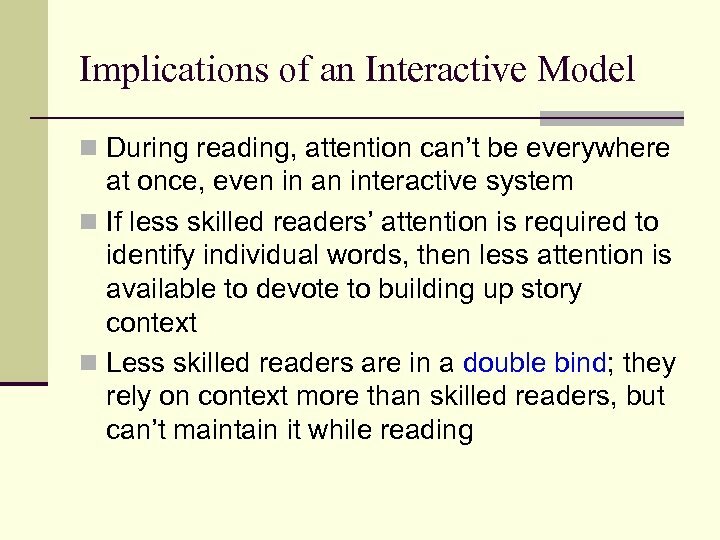 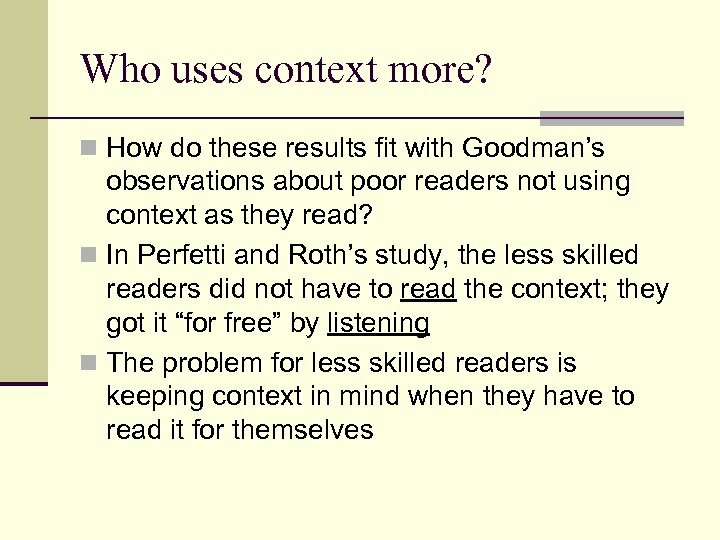 n Or, are less skilled readers necessarily poorer at using context (as Goodman suggested)?